Worldwide revenue of autonomous vehicles reached $3 billion last year and is estimated to grow to $103 billion by the end of 2022, according to a new forecast from Tractica. 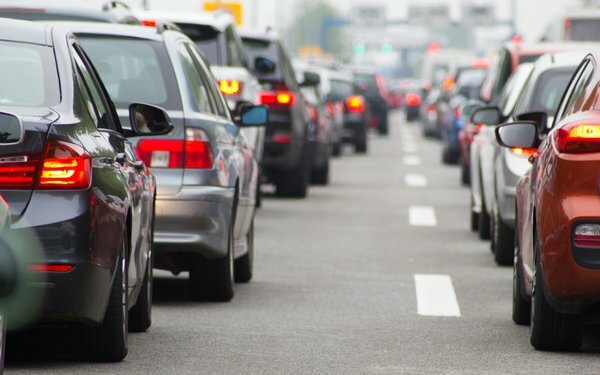 Demand for consumer autonomous vehicles is being driven by the promise of extra convenience for drivers, safety improvements and vehicle connectivity, according to Tractica. Other emerging autonomous vehicles, such as flying cars, personal air vehicles and amphibious vehicles, are not included in the forecast. Driving-related and consumer-focused data-based services in vehicles are projected to create new sources of revenue, such as infotainment, personal music libraries and social media. 3 comments about "5 Million Autonomous Vehicles Projected By 2022". R MARK REASBECK from www.USAonly.US , November 6, 2018 at 9:54 p.m.
“Trust factor, security, hacking, development and ownership costs, existing infrastructure, regulations, liability and perception are all concerns. 95,000 AUTO-tonomous vehicles were released in 2017? Where are they? I would like to see REAL Data. And will it reflect individual ownership or all the purchase orders promised by Uber and Lyft?? Good luck on that 5 million in 4 years. Somebody's suckin on a crack pipe. Chuck Martin from Chuck Martin replied, November 7, 2018 at 8:14 p.m.
Good points about the "issues," Mark. As to data, these are worldwide numbers. R MARK REASBECK from www.USAonly.US , November 7, 2018 at 10:43 p.m. Still don't believe it. I looked for world stats and all I can find is a quote from this same article from "the street". Since most of these cars in the US are under watch for preliminary testing and very limited, how could this 95k number be accurate? I think it's wishful thinking.